Hint: You actually can go to bed with wet hair. I've always relished the squeaky-clean feeling of freshly washed hair. At the same time, damp locks totally give me the chills, so I try to avoid going to bed with wet hair whenever possible. I have enough trouble trying to fall asleep without adding a damp pillowcase into the equation. Since I'm constantly cold, I've never liked washing my hair right before bed. But in the midst of my busy schedule, sometimes it can't be avoided. I'm an avid air dryer (I'm pretty lazy when it comes to my beauty routine! ), so I'm always on the hunt for a way to sleep with wet hair without feeling cold and damp. After coming across DryZzz, The Pillowcase for Wet Heads, I've finally found a solution. 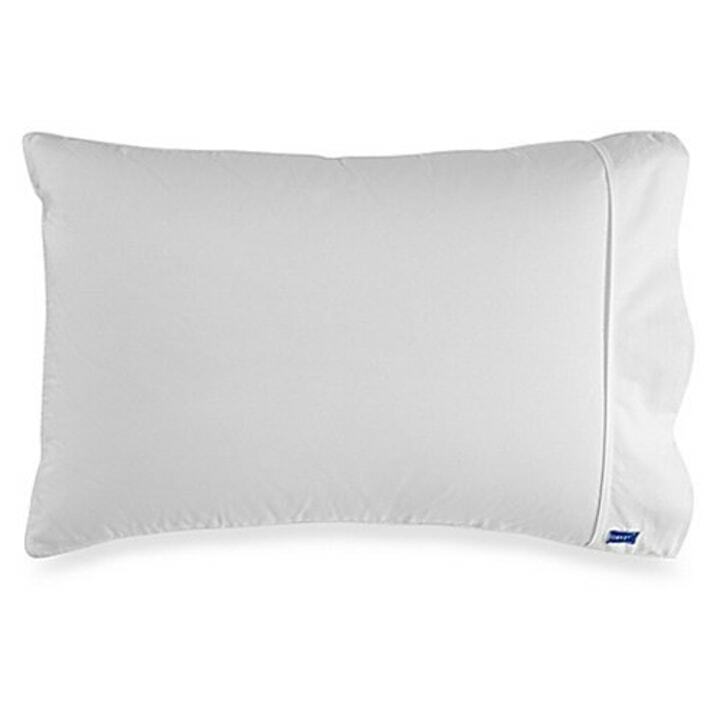 The patented pillowcase is the brainchild of two sisters, who are also moms, and features both a cotton side and an absorbent, lined microfiber towel side. The towel absorbs moisture from sweat, drool and wet hair, so you can sleep comfortably without worrying about a damp pillowcase. Genius, right? I'll admit: I wasn't initially convinced the towel side of the pillowcase would be comfortable. How often do you sleep on a towel after all? But after one night's sleep on the DryZzz pillowcase, I was sold. Rather than being abrasive, the microfiber towel is impressively soft and does an amazing job at absorbing wetness while maintaining its warmth. My hair also looked pretty awesome upon waking up. The DryZzz pillowcase comes in king and standard sizes, and in a range of cute colors. My favorite? The pink polka-dot design. There's also another reason to love the brand: DryZzz donates a portion of its proceeds to Sofia's Hope Inc. in memory of one of the founder's daughter's friends. Fashion, function and philanthropy? That makes this brand a triple threat.